Famed for their ability in both dancing and singing, Da Pump’s debut came in 1997. They very often appears in TV shows, movies, and magazines throughout Japan. DA PUMP “USA” is the viral smash hit of 2018. It is the local cover of the Eurobeat song released by the Italian artist Joe Yellow in 1992 composed and arranged by us here at Live Music Studio. In the cover version by DA PUMP, although it is rearranged together with the new Japanese lyrics, the original Eurobeat color is inherited as it is. 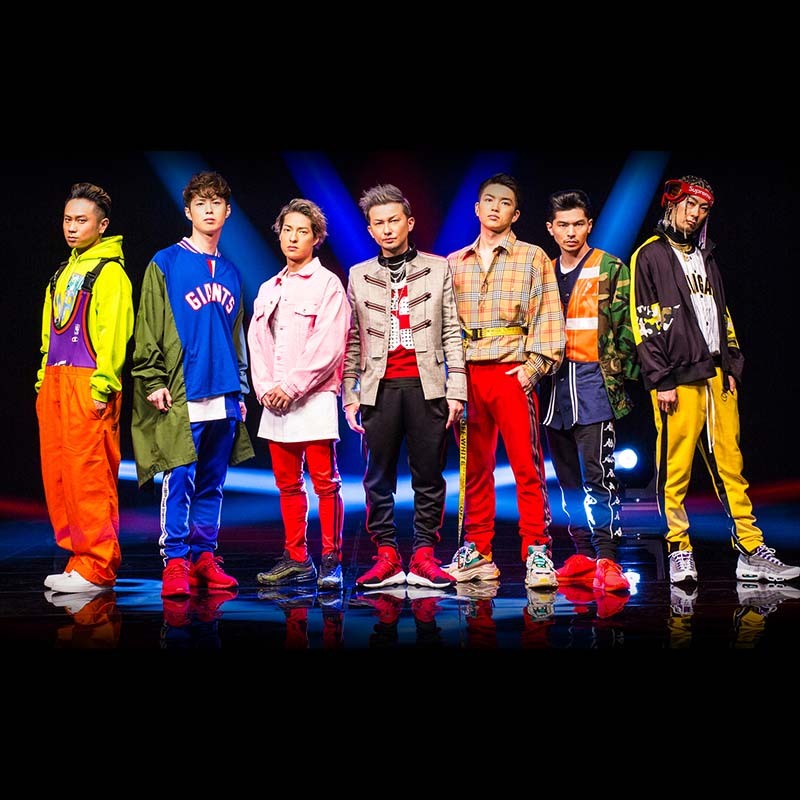 The MV of “USA” has recorded the number of views of 120 million (one hundred and twenty million) times on YouTube in just few months after release, becoming the most successful song of all times in Japan since the appearance of the eurobeat movement thirty years ago. No other song has ever known such a scorching spread like an explosive compound as U.S.A. does. They always enjoyed several years of stratospheric popularity. They choose our song for their next hit. Nr.1 Spotify Chart Japan Daily – Viral – 2018-06-11, just 5 days after release date. Ruby Lin is an extraordinary, full of potential and excellent Taiwanese artist. She is attractive, cute and lovely. She has acted in more than ten TV series and in several movies in Taiwan and China. Her acting is incredible and admirable. Her remarkable performances “Zi Wei” in “Huan Zhu Ge Ge” and “Shan Shan” in “Food Glorious Food” made her a Super Star in Asian Countries. Ruby Lin Para Para (AVCD). The actress Ruby Lin released an EP more or less on a whim not so long ago. Unsurprisingly, the EP sold very well. Thanks to the success of her EP, Ruby Lin gained the confidence of her record company which decided to invest a lot of resources into making this album. No expense was spared in bringing together some of the best song writers and lyricists of the music industry to create an album to be proud of. Real Name: Namie Maruyama – Date of birth: 20th September – Horoscope: Virgo – Place of birth: Okinawa, Japan Nationality: 25% Italian, 75% Japanese – Amuro is a famous Japanese singer. Her talent was found when she was in grade 6. She won a singing contest when she was 12. At the age of 14, she formed, together with some of her classmates, the all-girl group called Super Monkey’s. A couple of years later, she switched record companies, moved to Avex Trax and worked with TK (Tetsuya Komuro). In 96′ she received the Japan Records Award. Sweet 19 blues sold over 3 million copies breaking sales records for Japanese music. Amuro’s wannabes are called Amura or Amrers. They are people who pretend to be Amuro by looking like her. Amuro has already formed a social phenomenon in Japanese society. MAX, “Musical Active eXperience”, is a very popular vocal group in Japan. The original members of MAX made their musical debut as members of the Super Monkey’s. They branched out in 1995, becoming stars in their own right and selling several million albums. They also achieved a string of consecutive top 20 singles, which include our Get My Love. Since their debut, MAX has sold over 10 million records. As a group, MAX established a new style for female idol groups. D and D is a Japanese super J-pop dance girl group really popular in the late 90s. Initially, its members were Olivia, Chica and Aya. The trio was from the Okinawan Actors School and was managed by Rising Productions. The group sang in Japanese Eurobeat covers of European dance groups. D and D is the acronym for Dance and Dream. Their music could be described as J-pop mixed with Eurobeat. Later, the producer Tetsuya Komuro decided that Olivia had the potential to become a solo artist. Asuka Hinoi’s musical career began in 2002, when she formed, with two other girls, the group LOVE and PEACE, which released one single. In 2003, Asuka created a group under Vision Factory’s management. Yet, our lucky single lke lke, also used as the theme for the anime Ichigo 100, was the beginning of Asuka’s rising popularity and gave her so much exposure that she performed in some of the best musical shows with her female teenager J-pop group, called Hinoi Team.